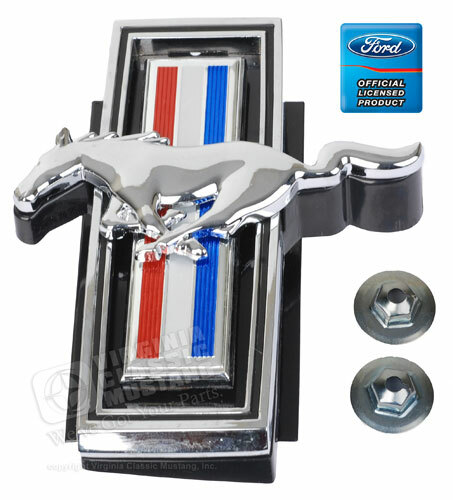 This 69 Mustang Running Horse Grill Emblem is made like the original. It is Ford Licensed. This assembly comes complete with backing plate, mounting plate and nuts.